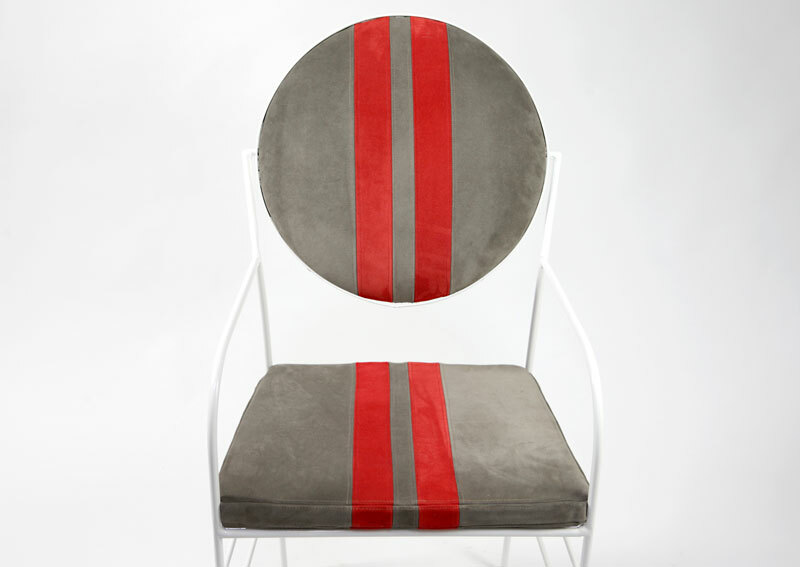 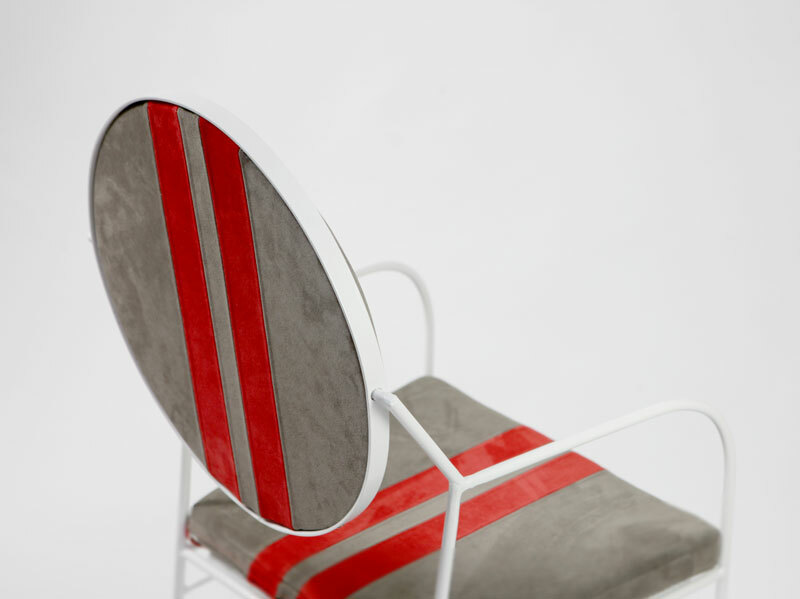 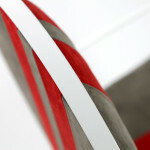 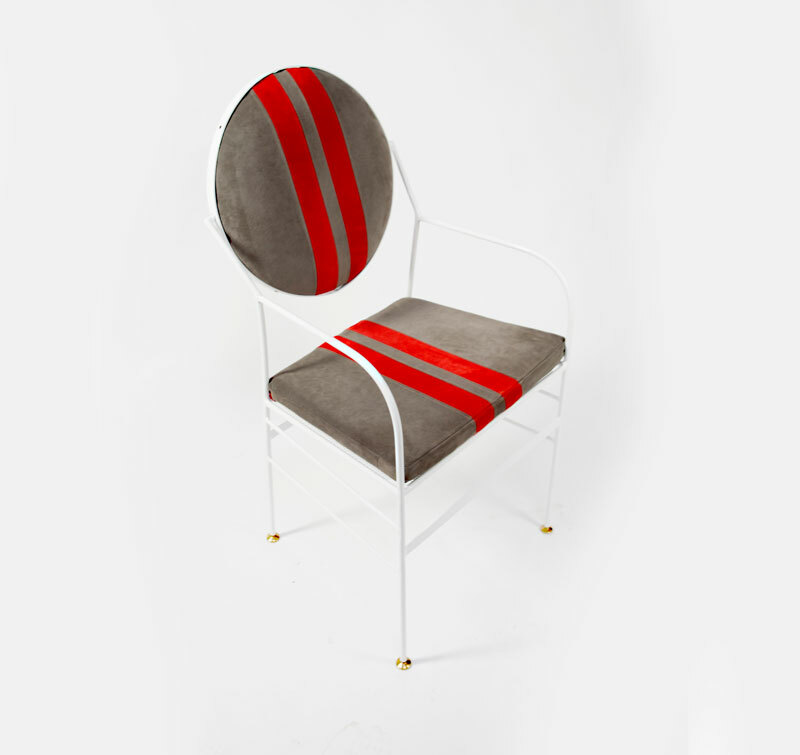 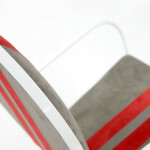 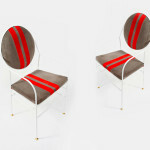 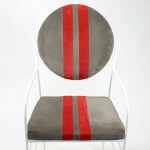 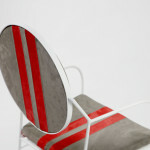 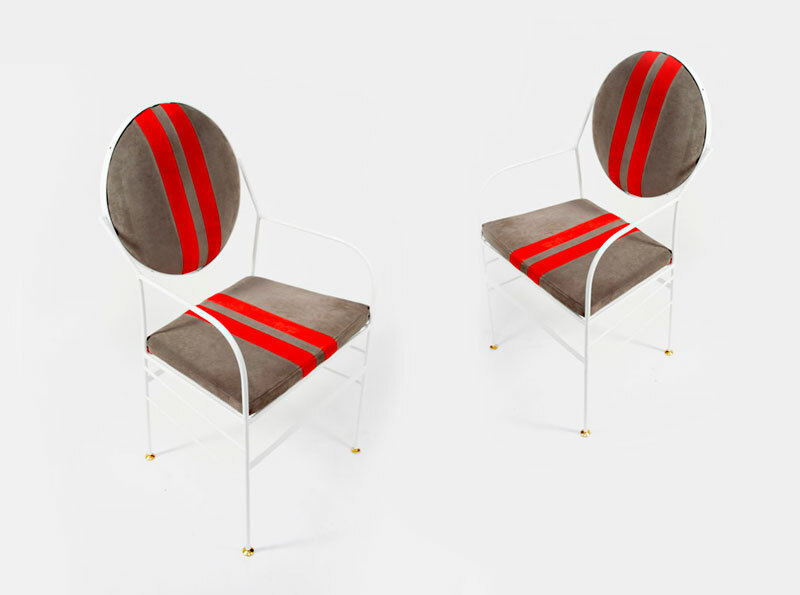 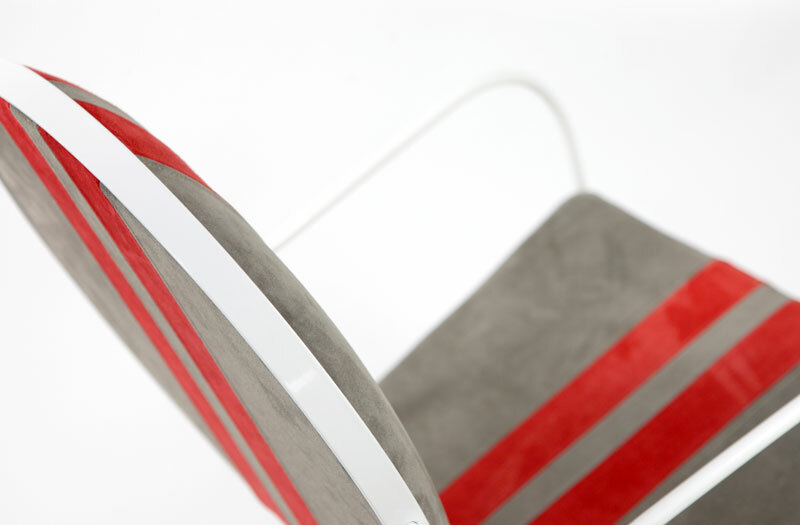 The two red stripes decorating the cushions of the chair evoke the colors of a sports car and strikingly complement the grey of the suede covers. 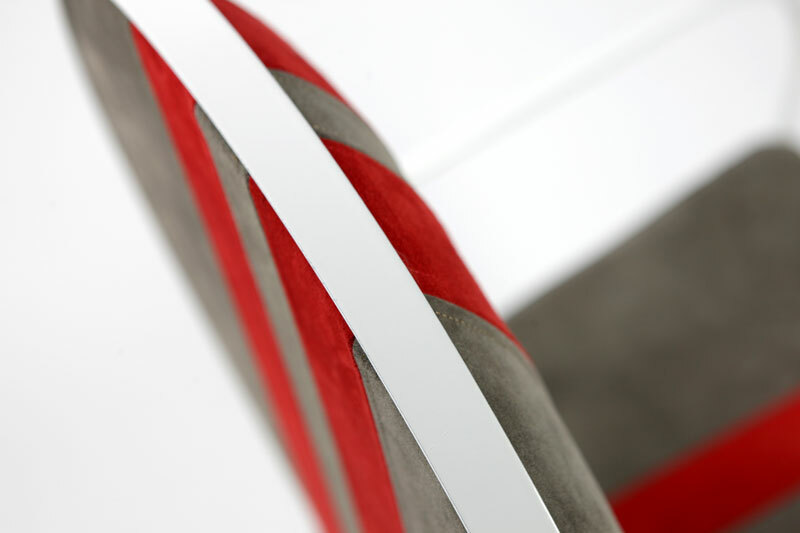 The structure in iron has a white dust paint with an oven-baked finished. 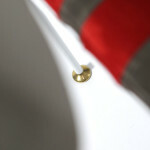 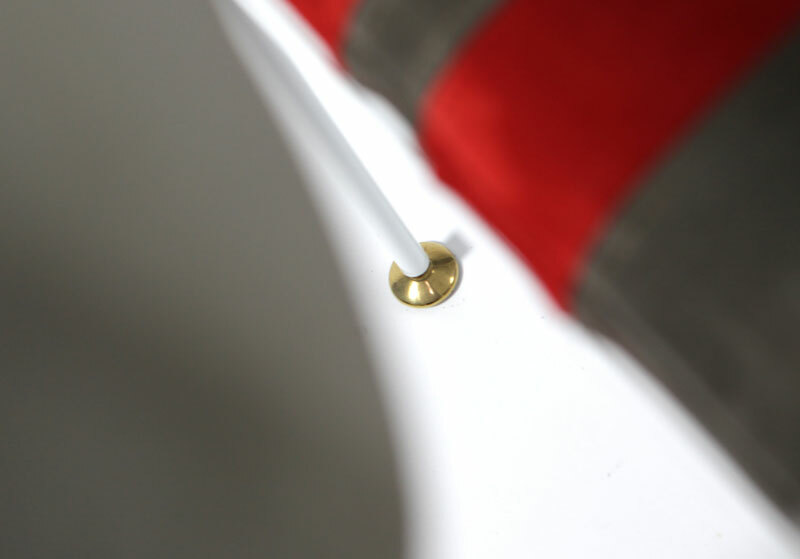 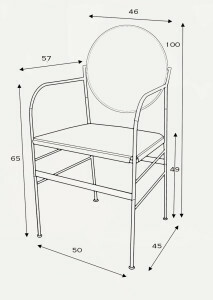 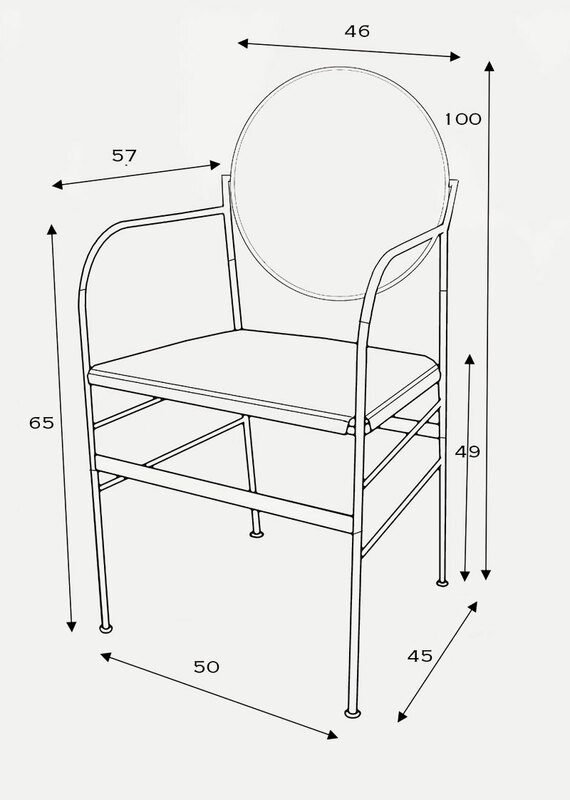 The feet are in brass and the back is adjustable to any specific angle for maximum comfort.